Category: Merchandise. Tags: Coach, Conversation, effectiveness, Leader, manager, NLP, skills. 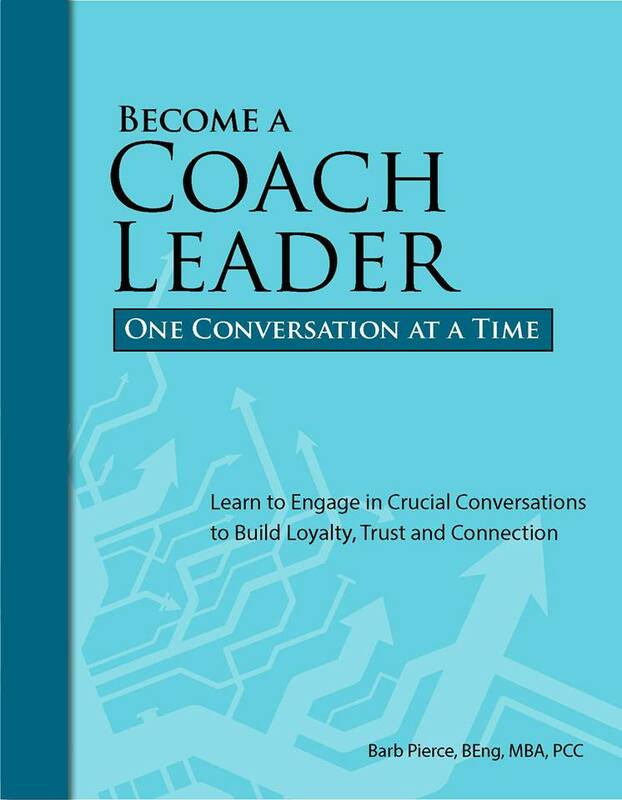 Many organizations are discovering the benefits of employing the coach approach to leadership. This approach is rapidly gaining in popularity because it allows leaders to connect more deeply with people of all ages and backgrounds. Leaders learn to communicate clearly in language that resonates with the listener. Most importantly, leaders learn to empower others through the artful use of setting agendas for discussions, asking powerful questions that promote learning, and by providing a safe place to take risks. If you already possess strong communications and inner awareness skills, this book will help you bring your leadership skills to the next level. If you are ready to hit the “reset” button, this book offers you new ways of thinking about communicating that will result in more authentic conversations and deeper, more satisfying relationships. In either case, Become a Coach Leader – One Conversation at a Time provides the knowledge and skills that can help you become the kind of leader and person that you want to be.